The grand finale night of Radio City Freedom Awards 6, a one of its kind platform that recognizes, honors and celebrates the essence of independent music across genres and languages. 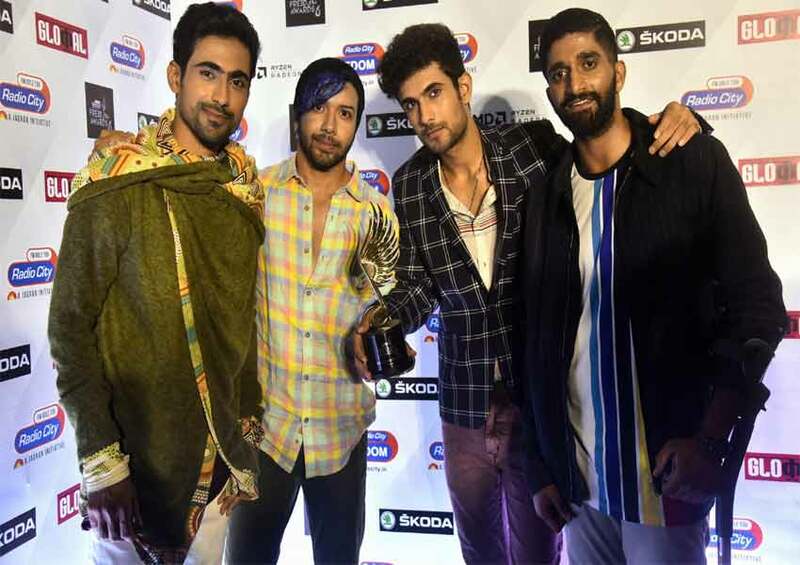 The scintillating finale in Mumbai witnessed some of the country’s best indie artistes and performers like Sanam, Emiway Bantai and Prateek Kuhad, Ankur Tewari bag awards and titles across jury and popular choice categories. The astounding evening celebrated powerhouse performances by Monica Dogra, Emiway Bantai, Antarman and DJ Pash. A marquee property, Radio City Freedom Awards once again lived up to its repute of recognizing and celebrating talents across the Indie music diaspora. Amongst winners, Ankur Tewari, the man behind the music supervision of the 18-songs soundtrack from the most loved and famed film ‘Gully Boy’ bagged the Skoda Indie-Genius: Person of the Year award. Sanam won The Best Pop Artist (popular choice) award for ‘Itni Door’. The hip hop sensation Emiway Bantai won the Best Hip-Hop Artist (popular choice) for ‘Jump Kar’. Prateek Kuhad was awarded as the Best Pop Artist (Judges Choice) and Best Video (Judges Choice) for ‘Cold/Mess’. RCFA’s checkered list of past winners include now household names such as Divine, Benny Dayal, Parvaaz, Swarathma, Papon, Midival Punditz, The Ska Vengers, Indus Creed, Dualist Inquiry, Donn Bhatt, and The F16s, to name a few. Radio City Freedom Awards has successfully been India’s only platform to pave way for talent in the indie fraternity to create a mark in the mainstream industry.